It’s begun — as the legend of American Pharoah’s Triple Crown win grows, it’ll be the Kentucky Derby that increasingly stands out as his greatest challenge, the race that defines his accomplishment. There will be no gimmes this year. The champions will be beatable; luck will again become part of top level horse racing and the pecking order will be nowhere near as well defined as that to which we have become accustomed. 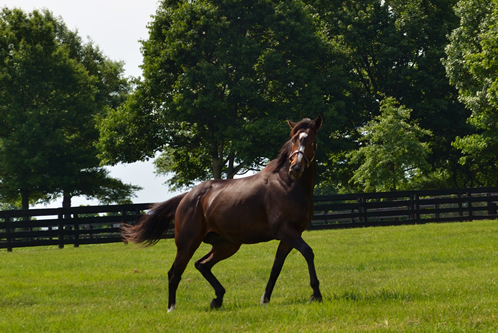 Rachel Alexandra in her Stonestreet paddock, May 2012.